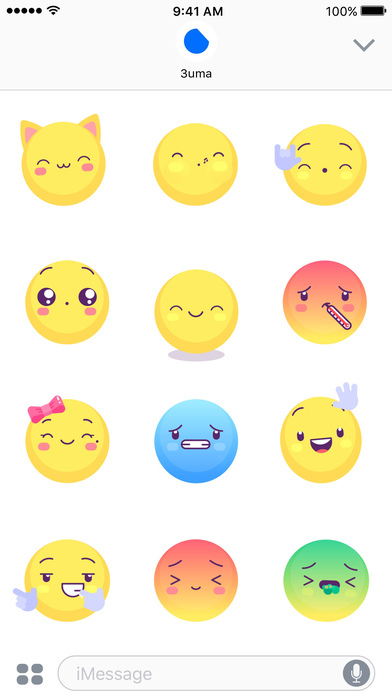 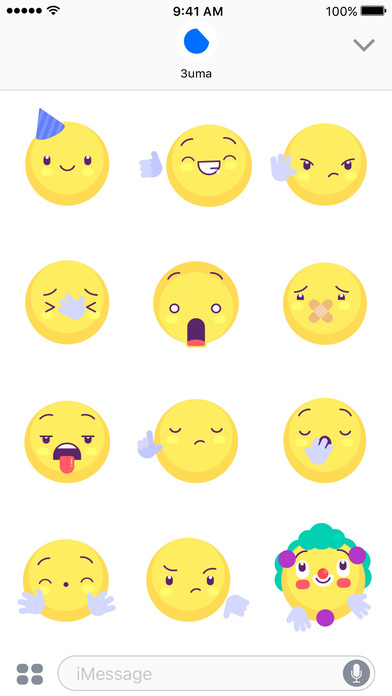 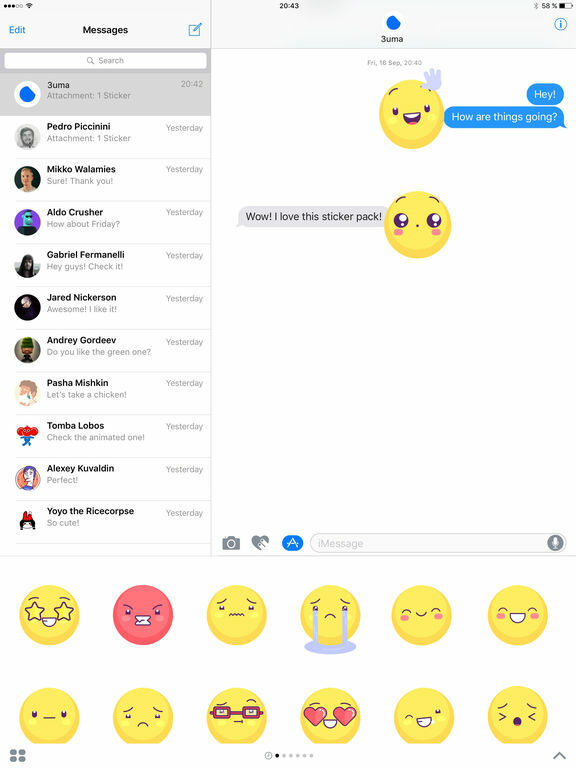 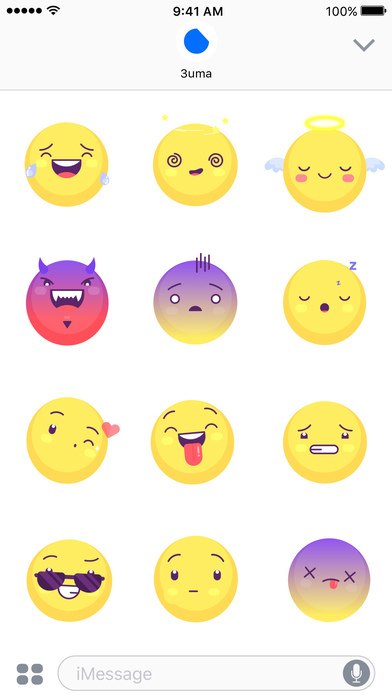 This animated emoticons pack is perfect for e-mail, chat, text messages, backgrounds and other forms of communication to spice up the plain and boring text. 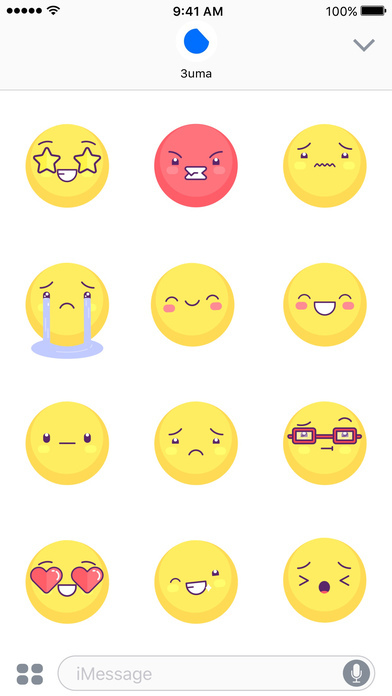 You can also use these elements in your videos and easily express your feelings and emotions. 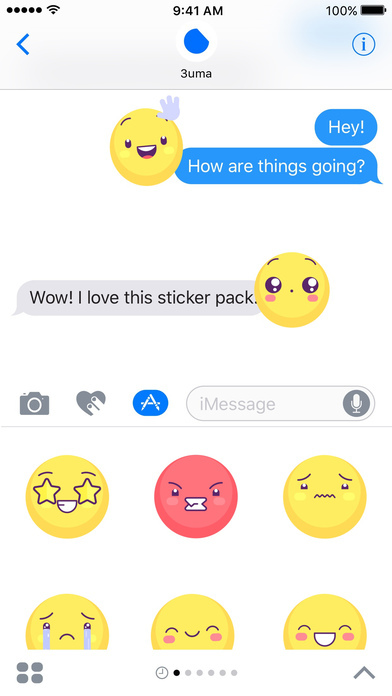 • Tap the icon on the lower left corner and then the plus icon to access the App Store for iMessage. 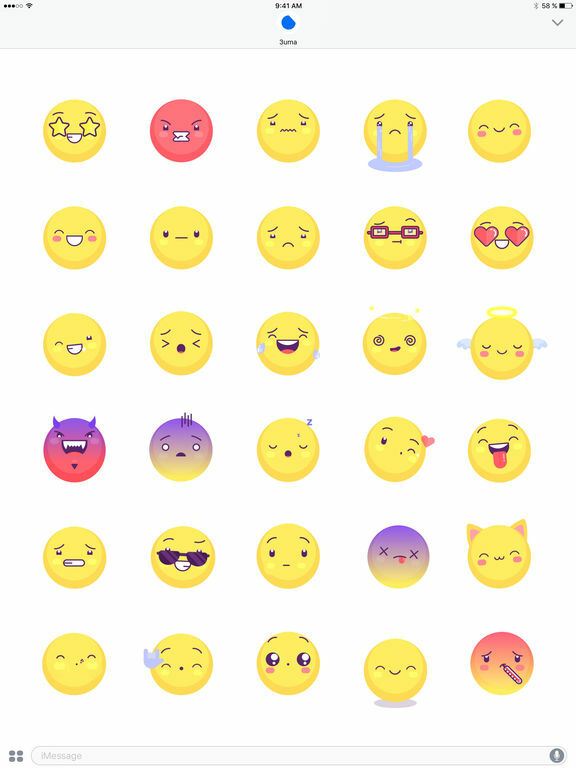 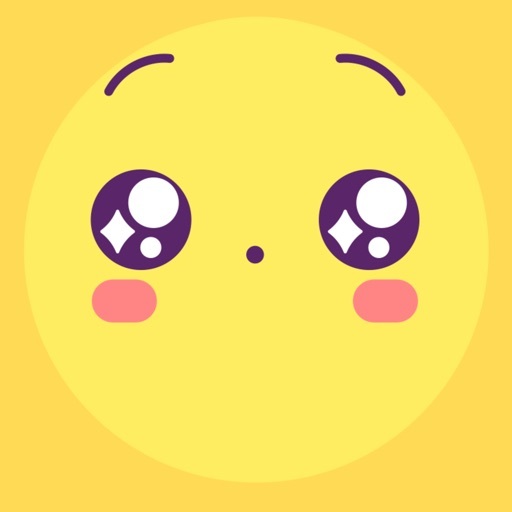 Tap Manage tab and find Yellow Emojis stickers to add them.